Thanks for putting up our badge on your myspace profile guys! Min lete varia pramata respects kai ta loipa. Oloi gia to Blues eimaste. Keep the Blues alive re gamoto. Hello Rousso! Really Nice work!!! 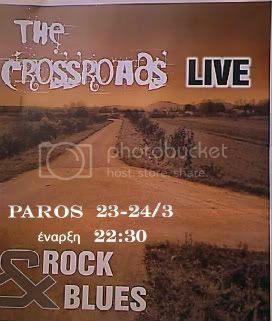 Hello Crossroads & welcome to Blues.Gr!! !